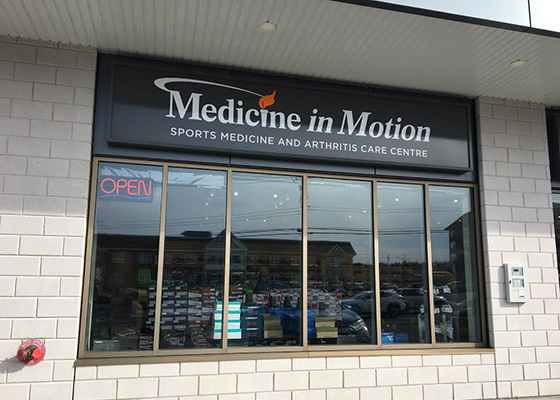 The Medicine in Motion Sports Medicine and Arthritis Care Centre relocated to 133 Baker Drive in Dartmouth, Nova Scotia in December 2016. 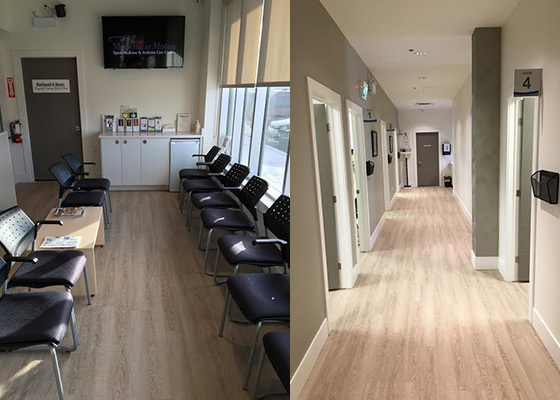 We are very excited about our new surroundings and our on-site partners that work closely with us providing exceptional products and services to the clients that we serve. 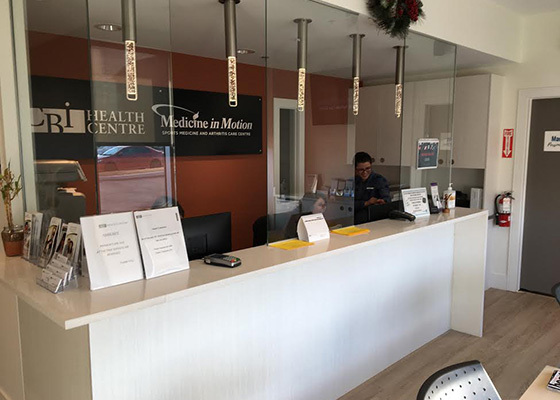 These valued partners include Soles in Motion and CBI Health Group. 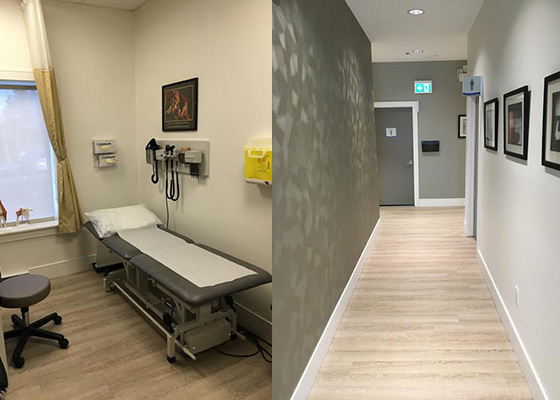 We look forward to treating you in our fresh, contemporary facility.